Tras diez años en escena, el segundo álbum en la trayectoria de ROOT DIAMOONS, "Tot al seu temps" llega en un momento álgido, de plena compenetración entre los músicos, tanto los propios como los invitados. Después de tiempos de ajustes, de cambios de formación, la banda se encuentra en el momento óptimo y en cada tema se demuestra la compenetración y empatía entre sus integrantes. El sonido es fino y depurado y Berta Gratacòs, vocalista de RD, muestra su talento consiguiendo registros propios de las grandes damas del jazz. Las colaboraciones de figuras de la talla de Greg Lee de la banda californiana Hepcat, el neoyorquino David Hillyard o el italiano Mr. T-Bone se integran en el sonido de Root Diamoons de manera natural borrándose fronteras geográficas y generacionales para conectar a músicos atrapados por una misma pasión. “Tot Al Seu Temps” es un trabajo propicio para seducir. Sutil. Elegante. Sofisticado. Con aires románticos. Explorando rincones donde la música con clase (jazz jamaicano, rock steady, jazz americano) supone un magnífico pretexto para hacer llegar el mensaje a quien sabe apreciarlo. Perdérselo sería tentar la suerte. Perderse en él, vale la pena. Mucho. 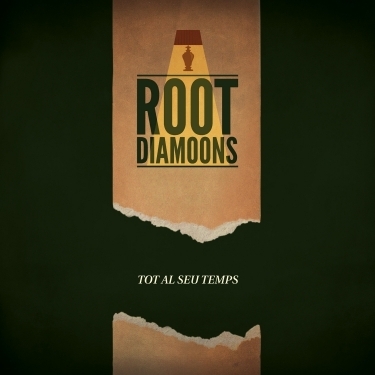 After ten years in the scene here it is, ROOT DIAMOONS’ second album “Tot Al Seu Temps” (“Everything In Its Own Time” in the Catalan language). This new record comes in a culminating moment of the band’s career, a moment in which its members are totally in tune with each other and also in tune with the guests that have visited them at the studio. Following times of adjustment, of changes in the line-up, ROOT DIAMOONS are in peak condition and each track shows the mutual understanding among musicians. The sound is slick and refined allowing lead singer Berta Gratacòs to display her talent reaching the vocal ranges of a great lady of jazz. 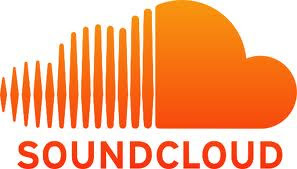 The album features collaborations by well-known musicians like the ones of Gregg Lee from Californian band Hepcat, New Yorker David Hillyard from The Slackers, or Italian Mr. T-Bone. Guests fit in naturally, becoming part of the sound of ROOT DIAMOONS. Geographical and generational barriers fall down connecting musicians trapped in the same passion. “Tot Al Seu Temps” is a work favouring seduction. Subtle. Elegant. Sophisticated. With a romantic flavour. Exploring the corners where music with class (Jamaican jazz, rocksteady, American jazz..) is to be found and sharing the findings with the ones that are able to cherish them. Getting lost in the grooves of this new record is something that is really worth doing. Absolutely worth doing.